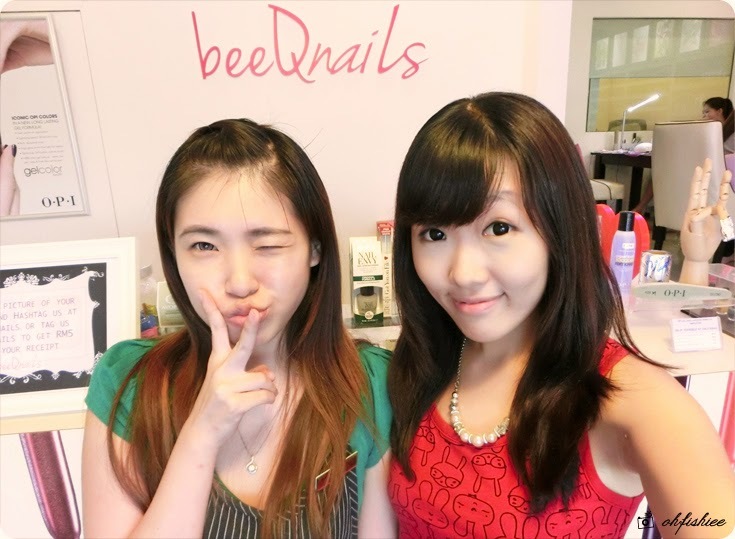 After a long week at work, I finally have some self-pampering time during weekend with le girl friend ♥ Nail parlours are everywhere in town, but I'd love to try the professional services by OPI partner salons, therefore I'm here at BeeQnails. Located at the mature neighbourhood of SS2, PJ, this spacious bungalow is uniquely converted into a OPI partner nail salon which promises luxurious nail services. No worries about finding a parking as you can park right at the shop and the friendly staff can move your car for you. 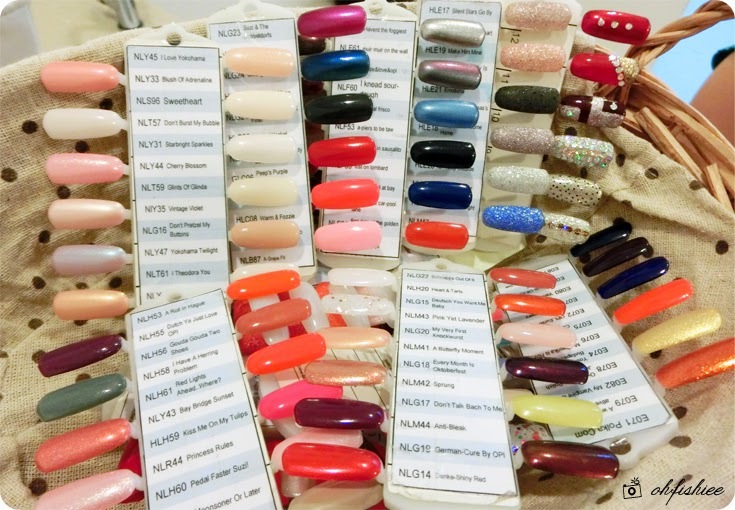 BeeQnails uses mainly OPI colors for both basic and gel polishes. Apart from that, you can enjoy plenty of spa treatments for the hands and feet. These services are available for guys too, so feel free to bring your boyfriend along! My treatment session begins with the feet. The honey-sweet aromatic chamomile is famous for its antioxidant and soothing properties. 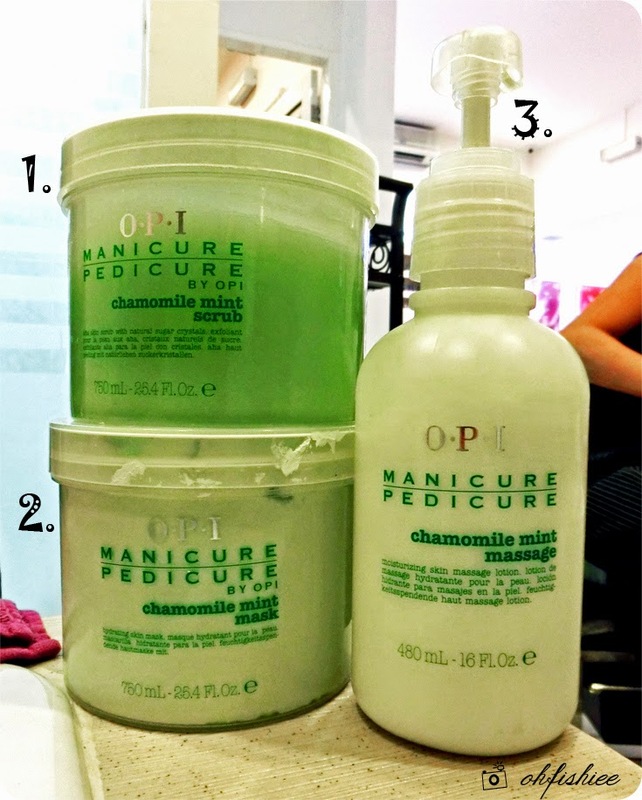 With the chamomile mint scrub, mask and massage lotion, I feel that my feet turns instantly softer, smoother and rejuvenated! You will be treated to nail shaping, callus removal, scrub, mask, cuticle detailing, massage and polishing. Just rest your feet, and enjoy the cooling mask that soothes tired skin! At the end of the feet treatment, I can choose my favourite colour for the basic pedicure. Time to go for some bold, fiery color to make my toe nails stand out! 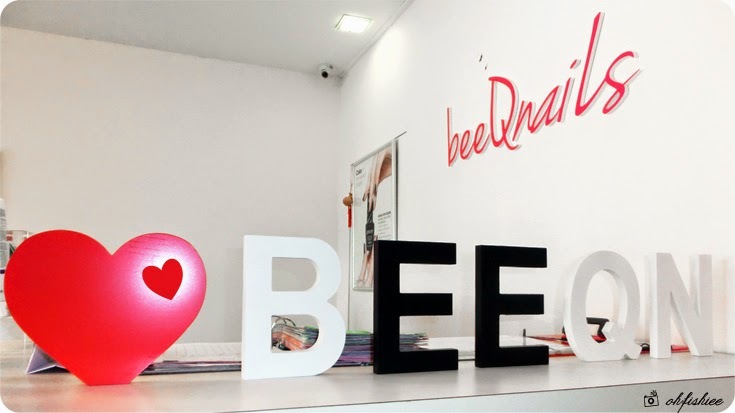 At BeeQnails, they follow each step of polishing your nails to ensure it looks beautiful, healthy and long-lasting. The first step is OPI Chip Skip which prevents chipping of your nail polish, followed by Base Coat, Colored Lacquer and Top Coat. While waiting for the toe nails to dry, we proceed with manicure and hand treatments. As usual, the manicurist will help to shape your nails and remove callus while you pick your favourite color / design for the nails. 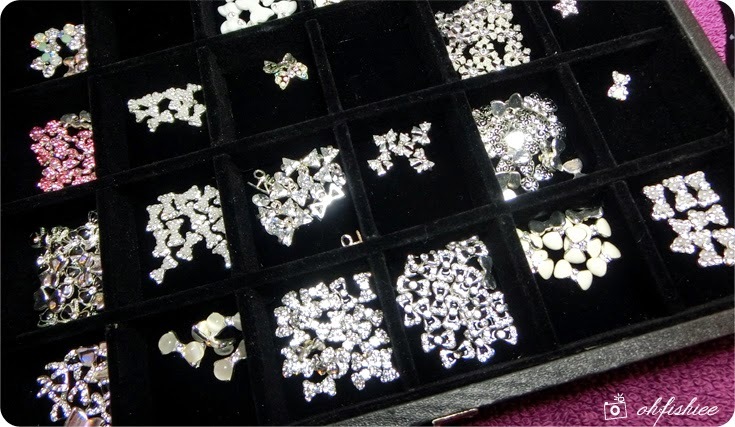 are all available there, which one do you prefer? and make special requests to your manicurist. For gel manicure, I'm amazed with the super quick color-finished services using this lightning speed cure machine. 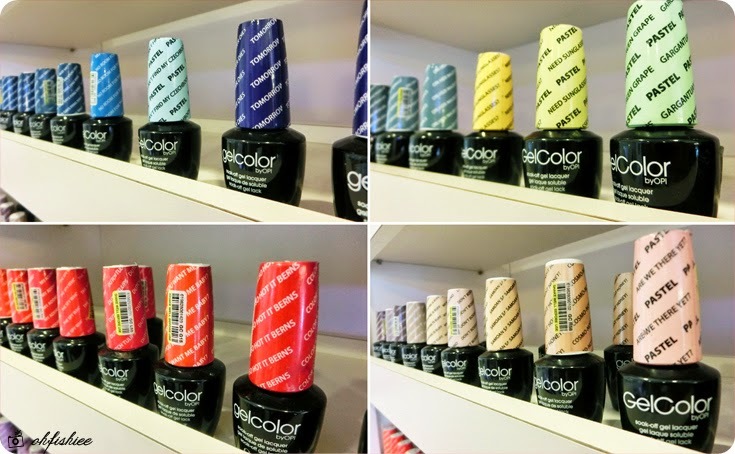 Basic GelColor manicure can be completed within 4 minutes per set, as compared to the conventional UV cures that take up to 12 minutes. When it comes to manicure, I'm always looking for something feminine, classy and long-lasting as the nails grow. 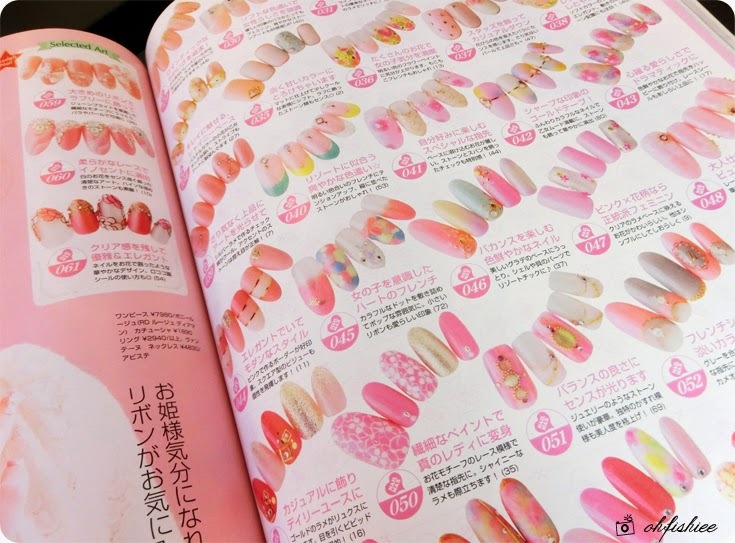 Thus, I pick Pastel Pink as my base color, and gold to enhance the classiness of the ribbon and diamante nail arts. Since my nails are short, the manicurist suggests me to add gold patterns on it to create an illusion of "long nails" and keep the rest minimal for a cute yet elegant look. 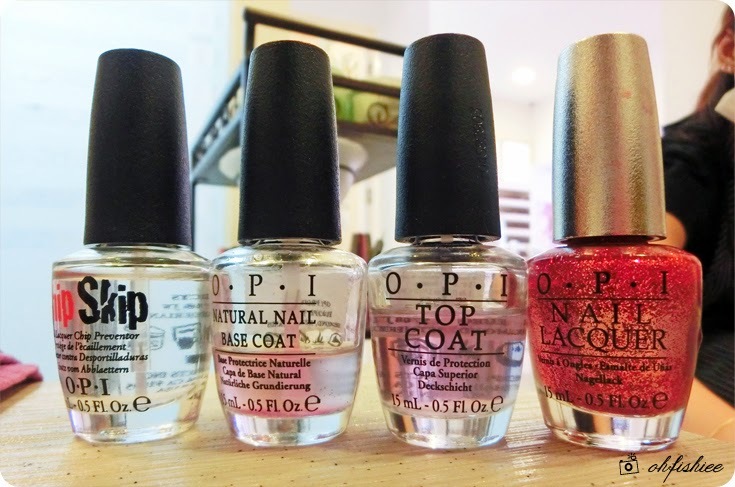 The GelColor by OPI can maintain shine after 2 weeks, so do the charms if you take good care of them. Next is the hand treatment! I am then pampered with Skin Renewal Scrub for exfoliating purpose, Effervescent Soak that dissolves in the warm water to revitalize your skin, Rejuvenating Hand Serum and Finishing Butter that gives the skin a good, moisturizing massage. Smooth, clean and pretty! ♥♥ We're happy kids now! Thank you Kate, my manicurist of the day for the brilliant art work and friendly service. I am glad that I pick the right salon that makes my day with comfortable pampering sessions and plenty of laughters. need to book first or not?